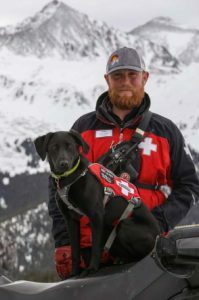 All aspiring avalanche rescue teams in Colorado must complete a validation test before they’re cleared to be operational. Validations must occur on a blind site outside the testing team’s area. For example, a team from Winter Park Ski Patrol must test at another location, such as Keystone Ski Resort. Teams must clear a site up to 100 meters x 100 meters, with one to three live burials. Teams must revalidate every three seasons.